Whenever life seems to drift you away from me, I can’t help but cry. You’ve grown to be a part of me that without you, life’s no more than a desperate sigh. 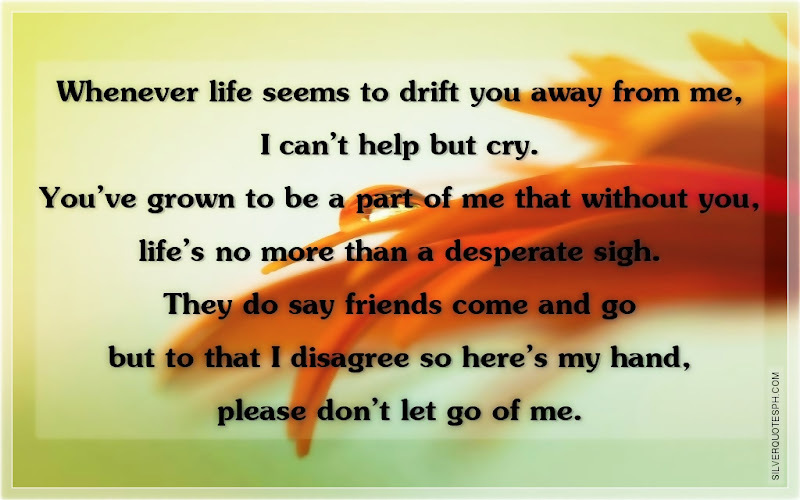 They do say friends come and go but to that I disagree so here’s my hand, please don’t let go of me.